Laws banning cattle slaughter in various states allow ordinary people to take the law into their own hand with impunity – as long as they are working in an undefined 'good faith'. As the Rajasthan police put the lid on the death probe of just another suspected cow smuggler (Pehlu Khan), the burgeoning trend that sprouted in Dadri in 2015 is now standing trial before the Supreme Court. Distressed by the increasing incidents of cow vigilantism in the country, three individuals – Martin Macwan, a Dalit rights activist, Mohanbhai Hamir Bhai Bedva, an alleged victim of such violence, and Tehseen Poonawalla, an activist – have moved the Supreme Court against the actions of so-called cow vigilantes. 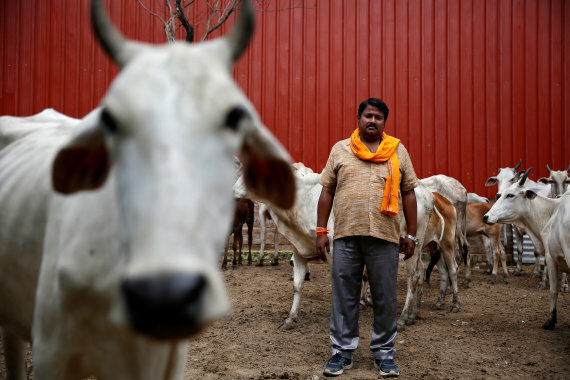 The petitioners have specifically challenged the provisions of cow protection legislations in six states – Rajasthan, Uttar Pradesh, Maharashtra, Gujarat, Jharkhand and Karnataka – that give legitimacy to cow vigilantes apparently acting in “good faith”. For instance, Section 13 of the Maharashtra Animal Preservation Act reads: “…no suit, prosecution or other legal proceedings shall be instituted against any person for any anything which is in good faith or intended to be done under this Act or the rules made thereunder”. All these legislations have a similar “good faith” armour for the knights of cow vigilantism as they lead the cavalry to stamp the authority of majoritarianism. 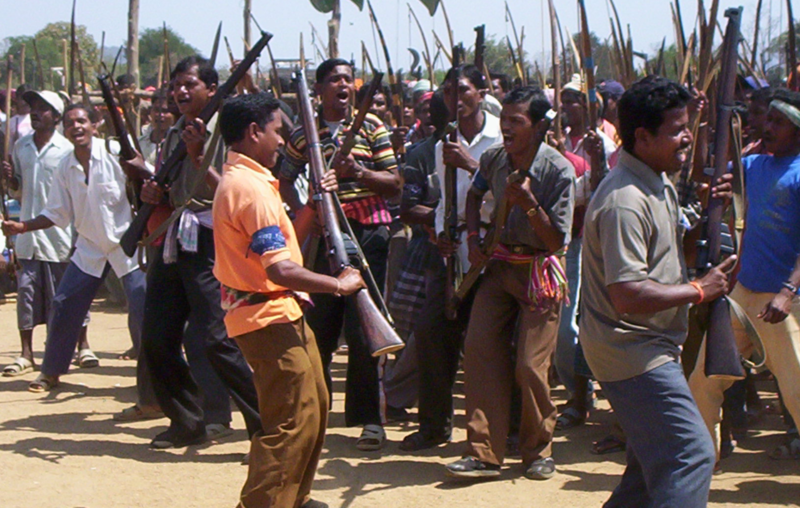 In the not too distant past, the Chhattisgarh government formed Salwa Judum, a vigilante group of armed civilians dedicated to killing Naxalites. The Chhattisgarh government noted that the police force available to counter Naxals was inadequate, so with the enactment of the Chhattisgarh Police Act, 2007 (CPA 2007), special police officers (SPOs) were appointed under Section 9 of CPA 2007. In 2011, in the case Nandini Sundar vs Union of India, (Salwa Judum hereinafter) the Supreme Court had held that the appointment of the civilian vigilante group Salwa Judum was unconstitutional. When the vigilante group’s underlying principles are soaked in majoritarian ideologies, the danger that it can pose to society knows no bounds – especially with the tacit support of the state and central governments. When a group acts outside the periphery of law, it becomes naturally difficult to take cognisance of their crimes. However, when the state endeavours to bring about legislations which would not only embolden vigilantism but also grant them impunity – as is the case with Salwa Judum and gau rakshaks – the state legitimises militia. The fate of gau rakshaks still hangs in the balance, though they stand on an even sloppier legal and ethical premise than the unconstitutional Salwa Judum. The point is that if Salwa Judum was struck down, then the legitimacy to gau rakshaks, another (less organised) civilian vigilante group, surely cant be morally or legally justified. Firstly, while the Salwa Judum vigilantes had ID cards and had gone through basic training, however insufficient, the gau rakshaks can be individual or group, he/she is acting in “good faith”. Secondly, in the Salwa Judum case, the affidavit clarified that the SPOs were not given regular police power to use force but were used as spotters and translators. However, under the cow protection legislations, gau rakshaks are entrusted with all the police powers under the law – checking for beef possession, obstructing cattle transportation, inspecting private spaces and acting on the suspicion of beef consumption. Gau rakshaks are entrusted with the same duties as police functionaries – but with zero police training and, more importantly, zero accountability for their actions. Thirdly, in the Salwa Judum case, the state had submitted that 1,200 SPOs were suspended when they were found to be in dereliction of their duty; but since the gau rakshaks have quite smartly never been appointed, the question of their suspension does not arise and –voila – virtual immunity for their actions. Fourthly, in the Salwa Judum case, the state had submitted that the necessity of Salwa Judum arose from a shortage of 30 battalions (40 battalions posted against a requirement of 70) along with the exceptional circumstance of Naxal violence against civilians and state forces alike; whether cattle slaughter evokes such an exceptional circumstance is anyone’s guess. If the logic and ethicality of these legislations are not dark enough, the “good faith” immunity provision needs to be struck down for violating the right to equality. In the Salwa Judum case, the court struck down provisions of Chhattisgarh Police Act as violating the right to equality as it gave untrained civilians the same power as police personnel. If the appointment of Salwa Judum offended Article 14 of the constitution, then the good faith provisions too are manifestly arbitrary and should be struck down. The provision violates equality as it treats two unequal groups – police and civilians – “equally”, by conferring both with police powers. The legitimisation of gau rakshaks becomes more entrenched and their power more sweeping if we focus on “good faith”. None of the legislations from Jharkhand to Karnataka to Rajasthan defines the term ‘good faith’ and the omission appears intentional. The term ‘good faith’ is defined under both IPC (Section 52) and under General Clauses Act, 1897 in Section 3(22). In absence of the definition under the legislation, it is the definition given under the General Clauses Act which is applied. The ‘good faith’ definition under IPC would cover acts which are done with “due care and attention”, thus meaning that the good faith act must be non-negligent. On the other hand, the threshold for a ‘good faith’ act is relatively low under the General Clauses Act: any act is done in good faith as long as it is done “honestly”, regardless of it being done negligently. Simply put, all acts where the person believes his/her reasons to be true without proper information will be immune under the “good faith” provision of the General Clauses Act. If we go by the ‘good faith’ definition under the General Clauses Act, then as long as the killers of Mohammed Akhlaq, Pehlu Khan or Junaid Khan believed that the victims were consuming or possessing beef, or transporting banned cattle, even without having basis for belief or acting without due care, are protected under the law. Vigilantism attacks the legal framework in multiple ways. As we witness mob-lynching incidents being reported across the country, it is only a matter of time before messiahs of right-wing extremism realise the utility of recent legislations, and with powerful tacit support have enough legal resources to invoke them. Imagine a situation where in suspected” criminals start being lynched on the streets; and as you get goosebumps, realise that anyone can be lynched as long as it can be established that the individuals forming the mob were acting in some undefined good faith. A comedian would call this a hyperbole; for all our sakes let us hope that is what it remains. Satya Prasoon is with Centre for Law and Policy Research, Bengaluru, and Praveen Kashyap is an independent researcher.